Danby’s counter top microwaves are not only practical and economical, they’re stylish too! Available in white, black and stainless steel there's a model to match any décor. Available with a variety of today’s most popular features and ranging in size from 0.6 cu. ft to 1.6 cu. 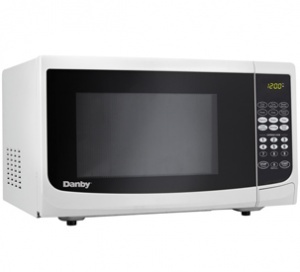 ft., Danby microwaves are well suited for the dorm room, office, cottage or kitchen. 12 months parts and labour coverage. Installation and/or Yearly Maintenance (cleaning) are not covered under warranty.